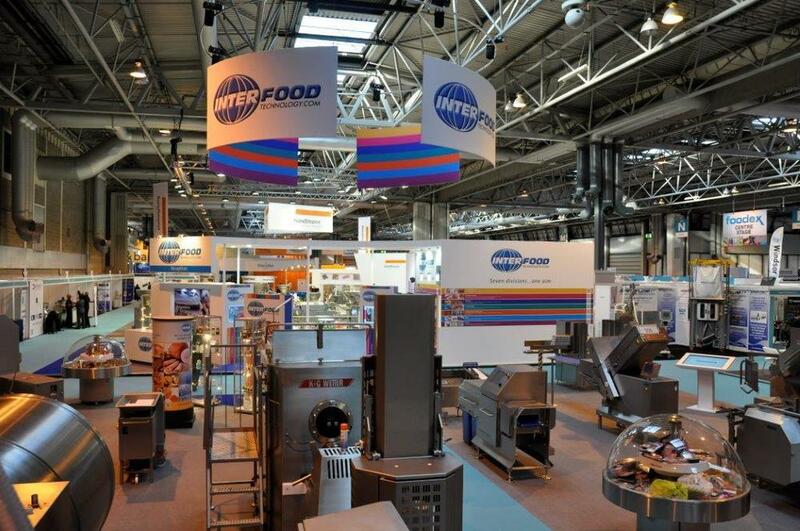 The Interfood stand at Foodex this year was the most ambitious yet at the flagship industry exhibition. 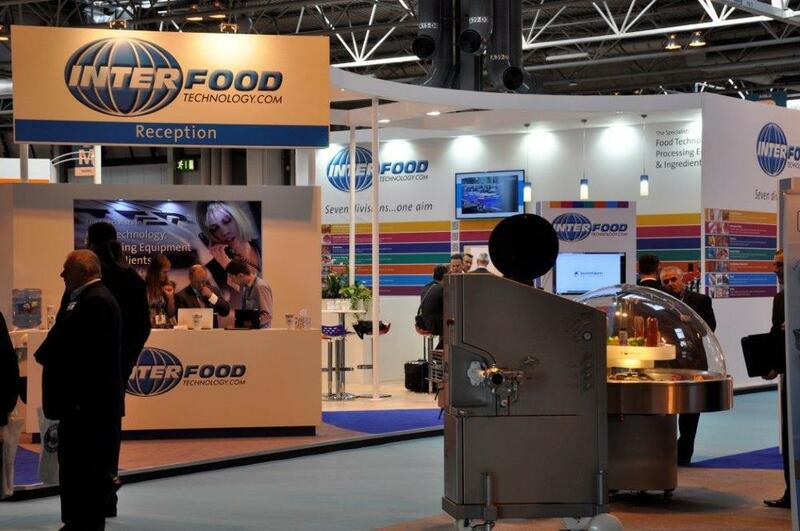 Augmenting nearly 400sqm of static exhibits, the Interfood stand featured 4 ‘Information Totems’ which used touch-screen technology that enabled visitors to the exhibition the ability to see over 40 working machines in both real and virtual production facilities. 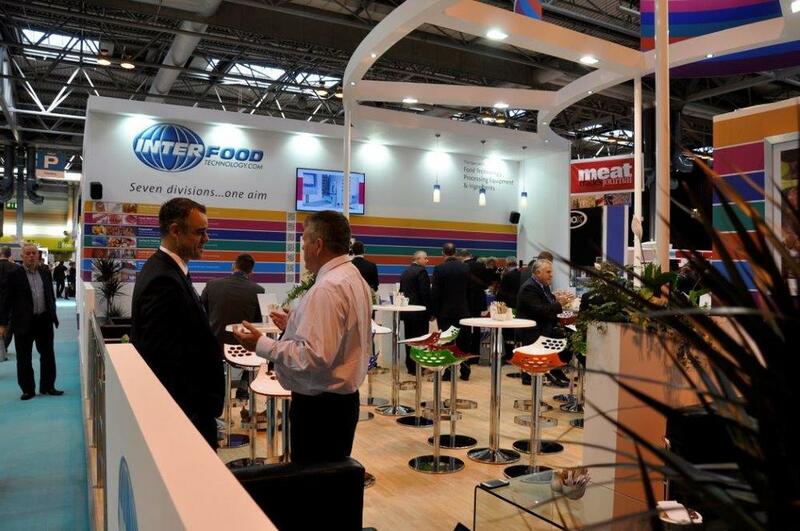 In addition, visitors to the Interfood display were given a password that enabled them to connect with a dedicated LAN running on the stand so that they could view the same information running on the totems on their own smart phones or tablets. 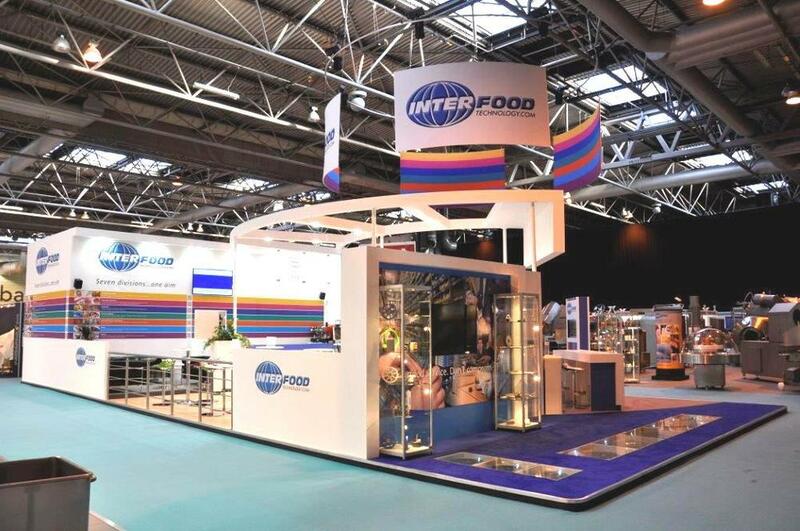 From a simple package to a complex double-deck structure at an event in the UK or abroad, we know all about exhibitions. Offering a turnkey management service, we deliver a trouble-free exhibition experience. So you can concentrate on the task of presenting your business proposition to the audience. If you would like more information about our exhibition stand design service, do not hesitate to give us a call on 0121 454 5584.